Sorry for the absence on posting wildflowers this spring but I am right in the middle of a stretch of weddings that is keeping me busy. 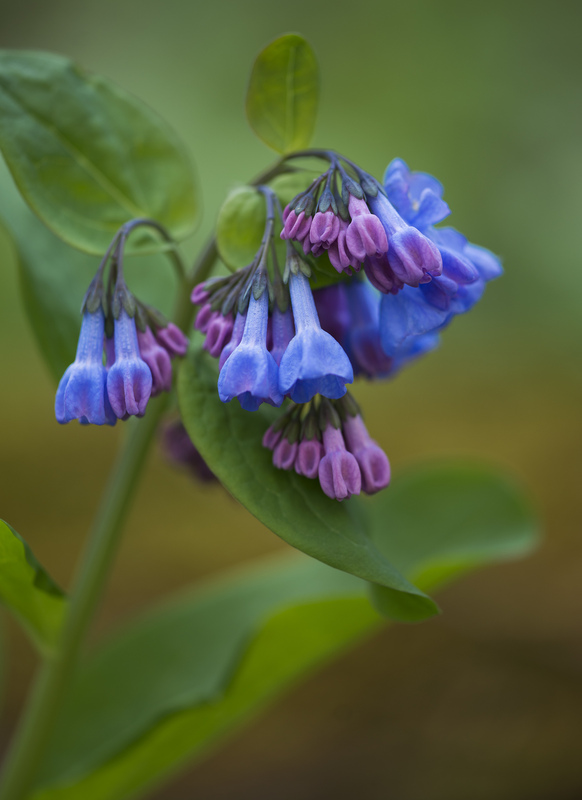 So this morning I have a minute and thought I might share some images of one of my favorite wildflowers from here in Southern Indiana and that is the Virginia Bluebell. 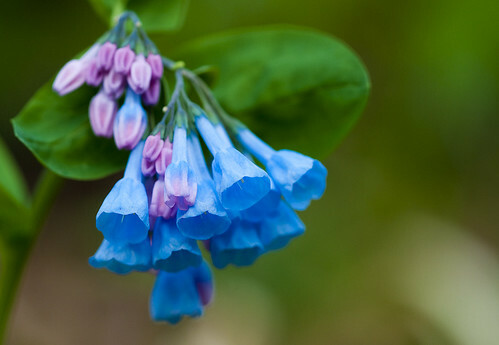 The Virginia Bluebell is a erect plant with smooth gray-green foliage and nodding clusters of pink buds that open into light blue trumpet-shaped flowers. 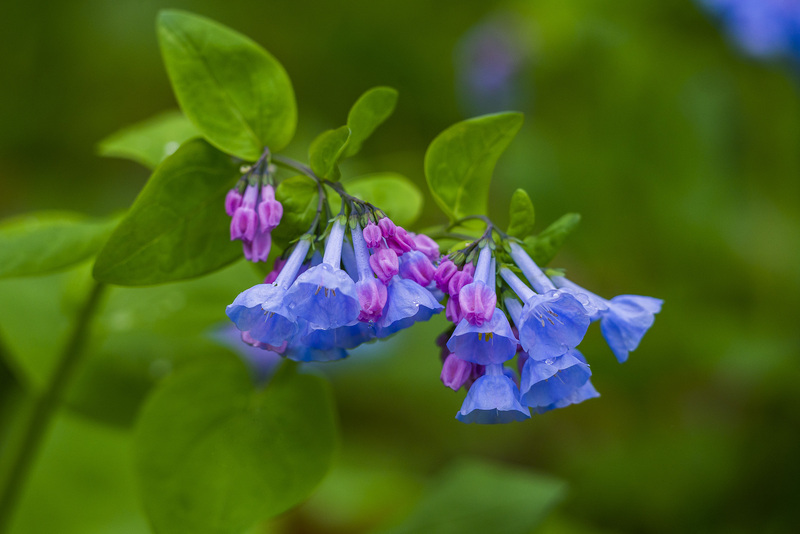 The 1-2 ft. branched and arching stems of Virginia bluebells bear large drooping, terminal clusters of lavender-blue, bell-shaped flowers. Large, gray-green, oval leaves line the stems of this perennial. When it grows in masses, this species makes a spectacular show, especially in the Midwest. 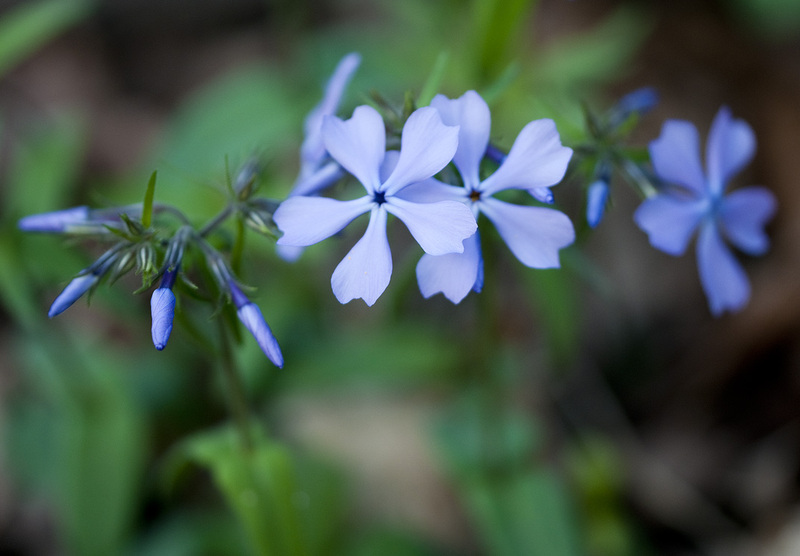 I tend to find them growing along stream banks and steep hillsides here in Southern Indiana. I have found colonies of this plant that covered entire hillsides in some of the gorges that line the Ohio River near Madison Indiana, I especially enjoy photographing one colony that grows at Clifty Falls State Park. 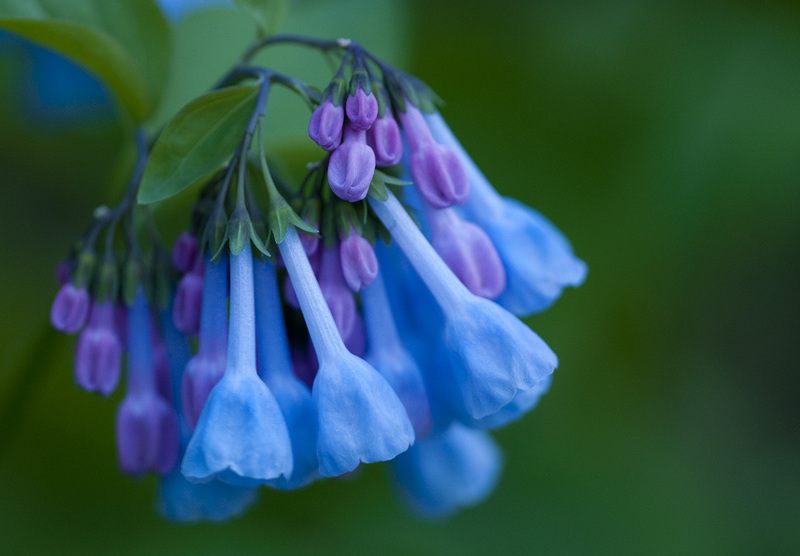 Virginia Bluebells are one of the most amazing wildflowers to view and photograph and I could never imagine a wildflower season without taking the time to stop and enjoy this wonderful little wildflower. Thanks for stopping by and taking a look and I hope you enjoy the pics I have included with this post !! Here is another example of a really cool little wildflower that grows at Clifty Falls State Park, and it is Squirrel Corn, very unique structure in this little gem and it makes for some really great photography. According to the Kentucky Native Plant Association.. The foliage of this early spring wildflower is easily mistaken with the foliage of its close cousin, Dutchman’s Breeches (D. cucullaria). 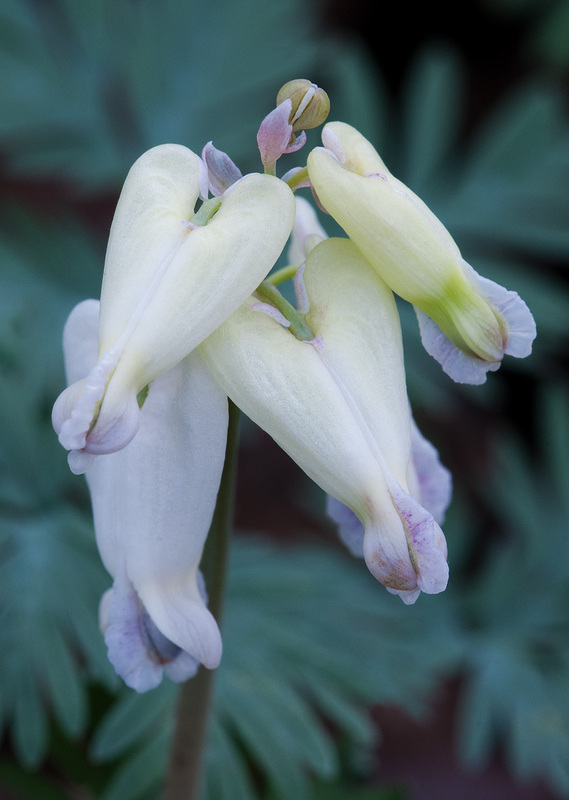 The easiest way to tell the plants apart is via the flowers, but the leaves of squirrel corn are typically shorter and there is one compound leaf per flowering stem compared to Dutchman’s breeches which has longer leaves and there are typically two leaves per flowering stem. In addition, squirrel corn leaves have a tendency to have a more “open” appearance. Like many members of the fumitory family, these plants are highly toxic and make for good garden plants because mammals, even deer, do not like to graze on them. The leaves appear early in the growing season and completely disappear by mid-May but they can form dense colonies when established in the garden. The plants are typically about 6″ tall and squirrel corn gets its common name from the underground food storage structures that look like corn kernels. 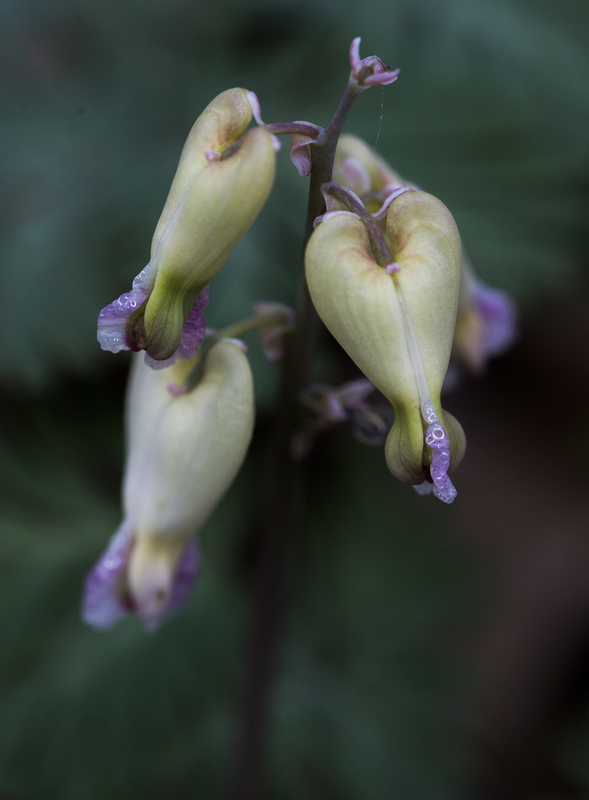 The flowers are quite distinctive and look like small hearts and the plant is named Dicentra which refers to the two spurs on the flowers and canadensis means from Canada. 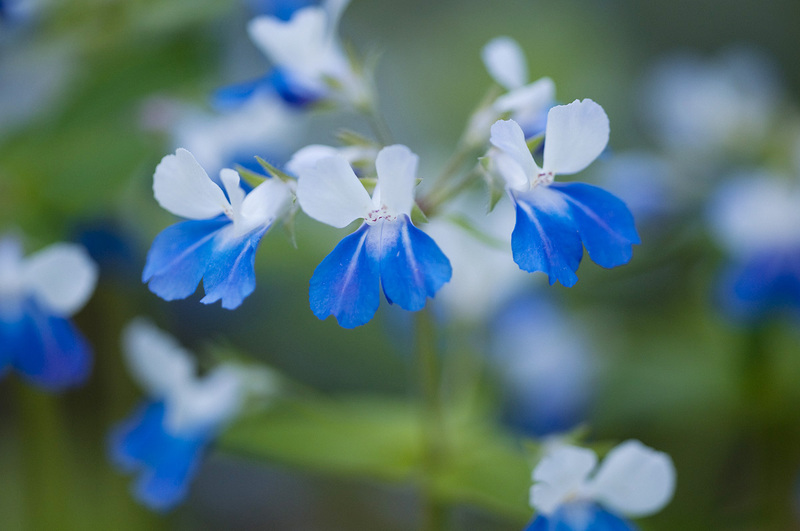 This plant is easy to grow in the garden and it is one of those species that must be inter-planted with ferns or later blooming species because it is so ephemeral in nature. 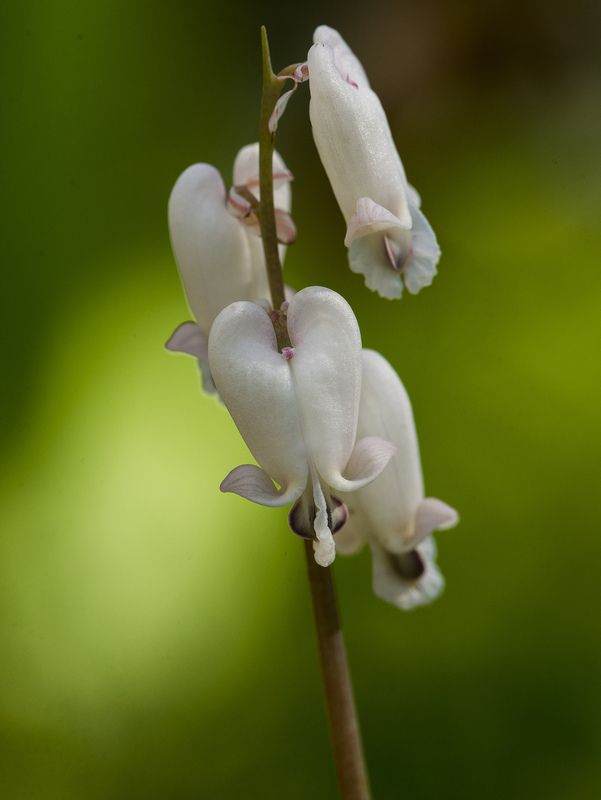 Squirrel corn had great significance as a Love Charm to the Mennominee Indians and a young man would throw the flowers to his intended love or chew the roots which gave a perfumed smell in the face of the woman causing her to follow him from that time forward. 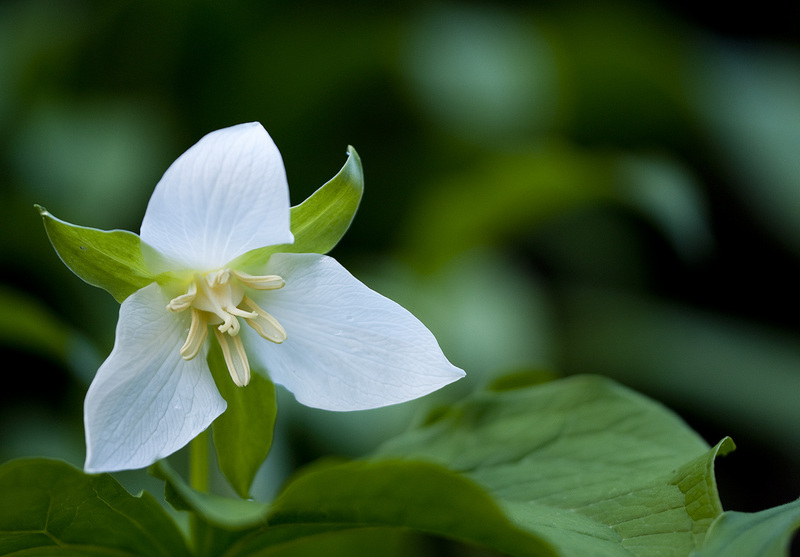 The Onondaga called this plant the “Ghost corn” believing it was “food for the spirits.” Like trilliums, the seed of this group is dispersed by ants because the seeds contain a fatty substance called elaisome, which is highly relished by ants. At the nest the elaisomes are eaten and the seeds are left to germinate. The plants are primarily pollinated by bumblebees. Historically the plant was used as a tonic and for use in treating syphilis. So there is really good description of the wildflower and now for a couple of images. Thanks for stopping by and taking a look !! It has been an incredible show so far, best wildflower bloom I have seen in at least five years, Clifty Falls State Park has been putting on show the last few days that don’t come around often. I spent yesterday evening in the gorge at Clifty Falls and have never seen so many varieties blooming at once and the colors are so vibrant I can’t begin to describe them !! 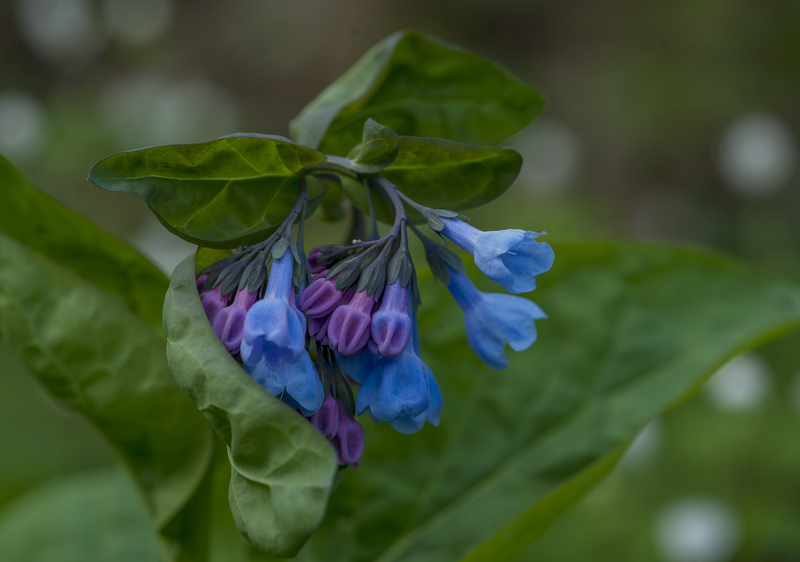 The ground was virtually covered in Blue-Eyed Marys and Virginia Bluebells, and in between Wild Phlox and false Rue Anemone added a great contrast to the vivid colors. I have been able to really get a lot of great shots this year, hopefully this trend will continue this spring !! I think the peak is right now and probably after this weekend things will go downhill fast, so if you want to see the show this weekend should be your best bet !! Here are some more shots from Southern Indiana and Clifty I hope you enjoy viewing them as much as I did in capturing their beauty , thanks for stopping by and taking a look !! The wildflowers are still blooming fast ans furious here in Madison Indiana, just about every early species is in full bloom, including Virginia Bluebell, Wild Phlox and Squirrel Corn all pictured here. The weather has been outstanding and the bloom is amazing the only foreseeable problem has been a lack of moisture and the speed of which the bloom has been progressing. I can see most of the early bloom past peak by next week and then the later flowers blooming thru the next couple of weeks and then it will probably be gone, usually by that time the early blooms would be peaking, so it looks like the bloom is running a couple weeks ahead of schedule. I can’t control that just hopefully be out in the woods when it is at it’s peak !!! Here are three different wildflower images I got earlier today all three are peaking as we speak and hopefully I will be able to get a few more shots of them thru the weekend, there is heavy rain in the forecast which would actually help some and keep the blooms from drying out. Clifty Falls is ablaze right now with all the beautiful color palettes that these early season wildflowers have to offer. Ina couple more weeks it will be gone so if you have the chance to hike the park now would be a great time to get out and view this beautiful display of nature before it disappears ! !